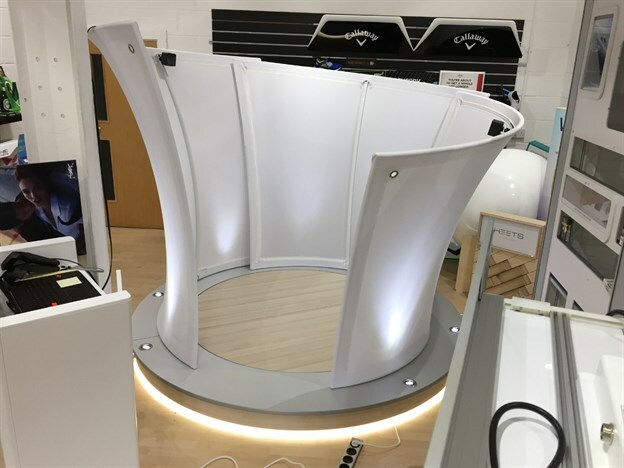 We were approached by Frontline Displays who were working on a virtual reality (VR) campaign for their client to tour around European airports. 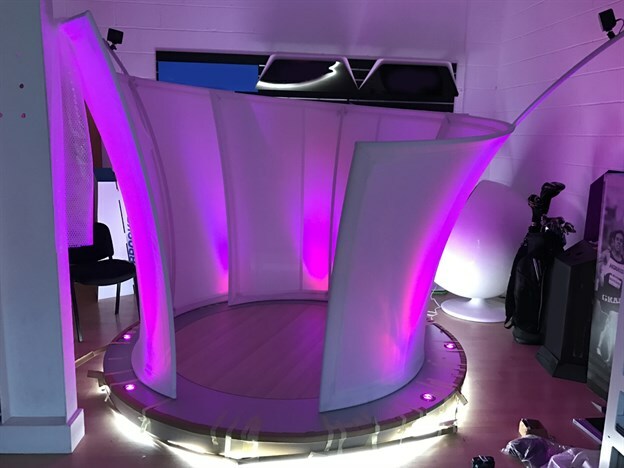 We worked with them to come up with a solution that would offer the wow factor and entice the crowds, but at the same time be quick and easy to assemble and disassemble. The five enclosures were constructed from rolled tubular steel frame, and the frames were all made in modular parts with zip on and off frames. Cable routing was included into the frame for the VR cat 5 cables. All of the modular parts break down to go into bespoke flight cases for transportation. The fabric and frames were made concurrently and trial-fitted at our production space to ensure the perfect fit. These were bespoke items designed specifically to meet the client's brief. 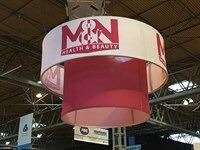 We also offer a fantastic exhibition product range.